An exchange of financial information. Colonial takes an immense amount of pride in serving our local communities. 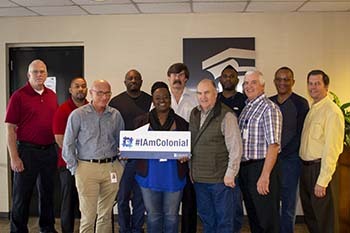 Whether it be providing grants to benefit underprivileged individuals, volunteering at area events or providing homebuyer and banking education, Colonial believes in doing the right thing for our neighbors and customers alike. Here’s what we’ve been up to in the community this fall. 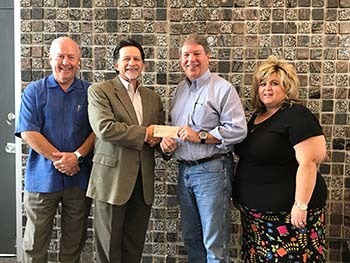 To raise private dollars from the community to invest in projects and programs in Cleburne ISD not funded by local, state or federal tax dollars. To support teachers and administrators in their efforts to provide the most innovative and creative learning opportunities for their students. To work together with the community and Cleburne ISD so all Cleburne students can achieve their dreams. We were thrilled to donate to such a worthwhile organization. October marked National Cyber Security Awareness Month. National Cyber Security Month encourages vigilance and protection by all computer users. Throughout the month of October, Colonial provided links to facts, tips and best practices about how to stay safe online. We feel that it’s extremely important to educate our customers and employees alike about how to avoid cyber threats. Visit our Cyber Security and Fraud Awareness Section for a full list of resources. Colonial National Mortgage was proud to serve as a sponsor of the Colorado National Guard Foundation’s Annual Golf Tournament. According to the Colorado National Guard Foundation website, the organization has been serving Soldiers, Airmen and their Families since 1991 and assists Colorado Guard members who experience financial hardships and other immediate family emergencies. Our Boulder team was in attendance and enjoyed an afternoon of golf in support of this noble cause. When Harrison Lane Elementary School of Hurst, Texas found that they did not have enough headphones for their computer lab, they asked via Facebook if there was anyone out there willing to give a donation. Colonial Loan Officer James Wilson wanted to help. 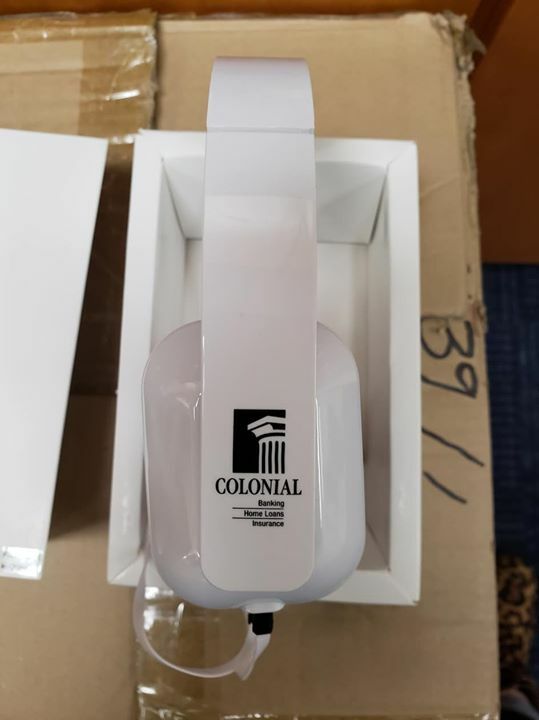 Wilson reached out to Colonial’s Marketing Department to see what could be done and they were more than happy to purchase and donate more than 35 headphones to support the school. Later in October, the Colonial Savings Foundation was proud to give a donation of $2,500 to the Young Women’s Leadership Academy of Fort Worth (YWLA). YWLA offers girls a dynamic learning experience that encourages critical thinking, inspires confidence and nurtures the intellectual and social development necessary for success in college, career and life. Colonial is a proud supporter of our country’s Veterans. A lot of people may not know that Colonial was founded by Jimmy DuBose in 1952 after he returned from serving as a bomber pilot in World War II. For more than six decades, Colonial has celebrated this nation’s Veterans. A number of Colonial employees and U.S. Military Veterans were recognized for their service and sacrifices for our country. We will also be keeping with a tradition we began three years ago for our annual “Holiday for the Troops.” So stay tuned for more information around the holiday season! Another tradition we continued this year was partnering with Junior Achievement of the Chisholm Trail. We had the privilege of working with three amazing groups of students from Stripling Middle School and Trimble Tech of Fort Worth, respectively. Volunteers from Colonial worked with students to teach them about financial literacy, healthy spending and savings habits, budgeting and more. 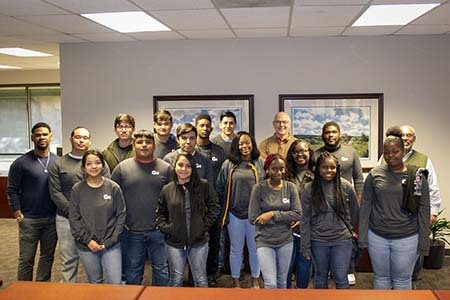 As a bonus, Trimble Tech students visited Colonial’s Corporate Headquarters for a tour of the campus and one-on-one discussions with key employees. To further show our support, Colonial was happy to give a donation to each of these teachers to help provide school supplies and other learning materials. A special thank you to all of our volunteers who donated their time and expertise. We couldn’t have done it without your help! Looking for Down Payment Assistance? Colonial Can Help! Should You Maintain Separate Accounts When You Get Married?